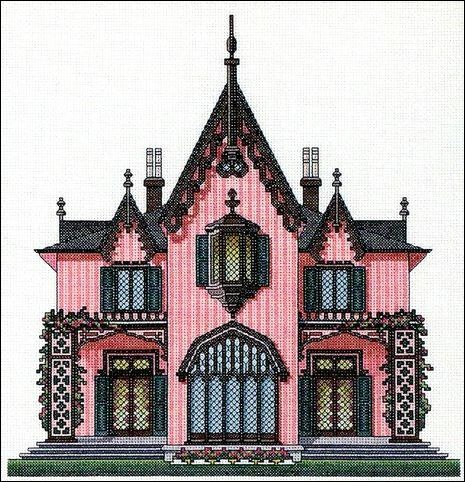 is a Gothic Revival that was built in Woodstock, Connecticut in 1846. Now a National Historic Landmark, it is owned and operated as a historic house museum by Historic New England. The main colors of the design are pink with green and brown. Stitch count is 155w x 160h.